Ali Sahinbas or better known as Fuchs revolutionised Istanbul’s radio landscape in 1999 with co-founding FG 93.7 FM and later Dinamo FM in 2003. 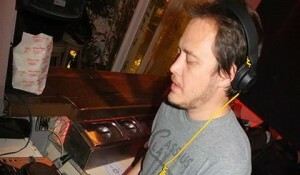 Around 1999, he started also his passionate DJ career playing every important address in Turkey’s club landscape plus taking the DJ booth in renowned institutions abroad as London’s Ministry of Sound and Cable, Liquid, Bar 13 and Nublu in New York as well as Paris’ milestone club Rex among others. Over the course of his career, he spun records together with world-class artists as diverse as Carl Craig, Pete Tong, Timo Maas, Steve Lawler, Sander Kleinenberg, Jimpster, Roman Flügel, Chateau Flight, Jazzanova, James Holden and played festivals like Creamfields, Rock’n Coke, Efes Pilsen One Love, WMC Miami, Sziget among others. Let Fuchs take you on a journey at MiniMuzikhol Istanbul on 24 May 2014.